Are you ready for a fun giveaway? 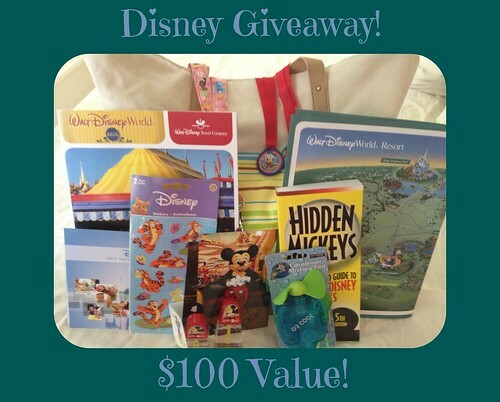 This is a fun Disney themed prize pack perfect for your next vacation! Enter the giveaway and enjoy! Winner must be a US resident and over 18. Winner will be notified via the email provided so please use one you check. You will have 1 week after the giveaway ends to provide your address. Are you thinking about a 2014 Disney vacation? We have exciting news! 2014 Disney Vacation Packages Are Coming Soon! The 2014 Walt Disney World Resort, Disneyland Resort and Aulani, A Disney Resort & Spa vacation packages will be available to book starting on July 10, 2013. Contact Patti at Plan a Magic Vacation today for more info! All you need is a $200 deposit! I love meeting the characters with my kids! I love being a kid again. My favorite thing about Disney is that’s it’s extremely family-friendly. Disney is the best place. they think of everything and have something for everyone. I love all the great family movies. I love everything Disney!! From the parks to the movies!! Ana Cabrera on Origami Owl Custom Jewelry Review and Special Sale! Ana Cabrera on Get Paid CA$H For Surveys + $5 Sign Up Bonus!! !